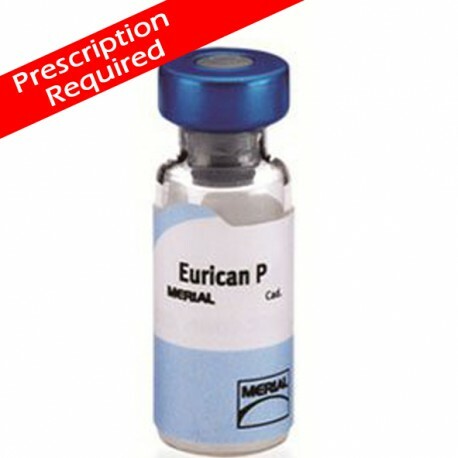 Eurican P Vaccine for dogs 10 dose. For the active immunisation of dogs from 8 weeks of age to prevent clinical signs, and to reduce mortality and viral excretion caused by canine parvovirus infection. Onset of immunity: 7 days after primary vaccination. Duration of immunity: 2 years. 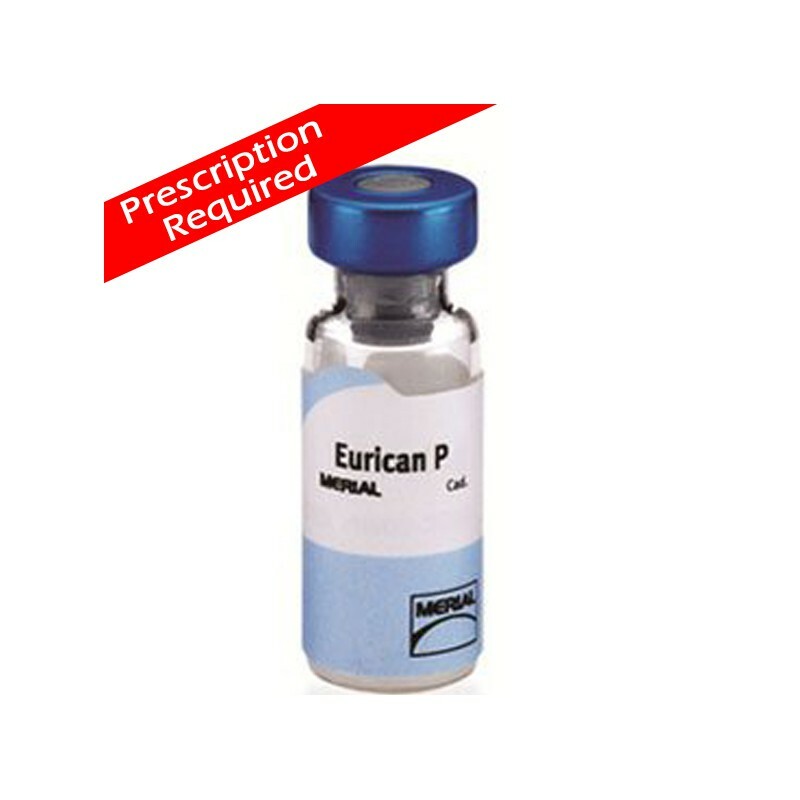 Reconstitute EURICAN P using EURICAN L immediately before use. Apply usual aseptic procedures and inject by the subcutaneous route. It is well documented that high levels of maternally derived antibodies can interfere with an active immune response to vaccination. Ideally pups should be vaccinated as soon as maternally derived antibody has declined to a level at which the pup is susceptible. Under most practical circumstances this is not known and therefore the following regime is recommended. Second vaccination: 3 to 5 weeks later from 12 weeks of age. In puppies over 12 weeks of age a single injection is sufficient to confer immunity.